Oil on panel, 47,5 x 37,5 cm. This is a head and shoulders portrait of a young man with medium-length chestnut brown hair, dark grey eyes and a passive facial expression. 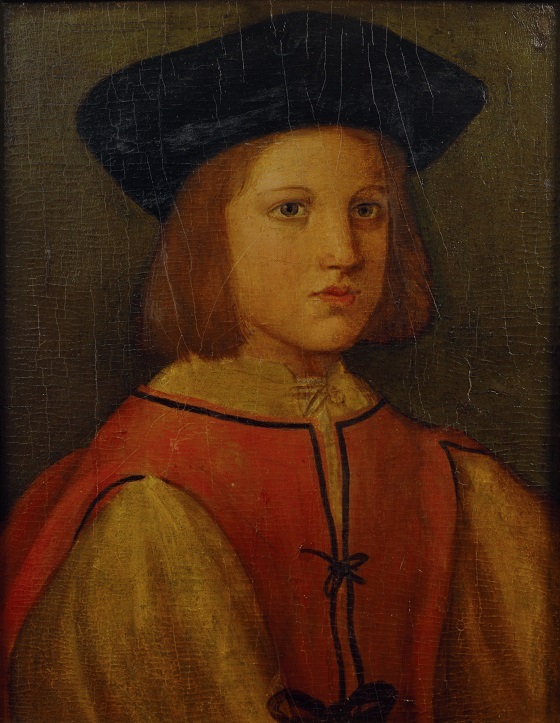 The boy is wearing a black beret and a red robe over his yellow shirt. The art historian Gustav Frizzoni (1840-1919) proposed that the artist behind this painting is Andrea Piccinelli, an Italian painter from Siena. The painting’s warm colour palette and soft contrasts between light and darkness correspond to Piccinelli’s style. Piccinelli was inspired by the warm colours and glow that was typical of the works of the Renaissance painter Rafael.